Nanostructured Polymer Composites for Biomedical Applications addresses the challenges researchers face regarding the creation of nanostructured polymer composites that not only have superior performance and mechanical properties, but also have acceptable biological function. 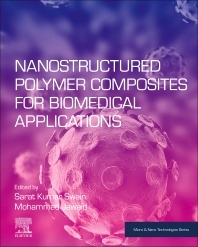 This book discusses current efforts to meet this challenge by discussing the multidisciplinary nature of nanostructured polymer composite biomaterials from various fields, including materials science, polymer science, biomedical engineering and biomedicine. This compilation of existing knowledge will lead to the generation of new terminology and definitions across individual disciplines. As such, this book will help researchers and engineers develop new products and devices for use in effective medical treatment.